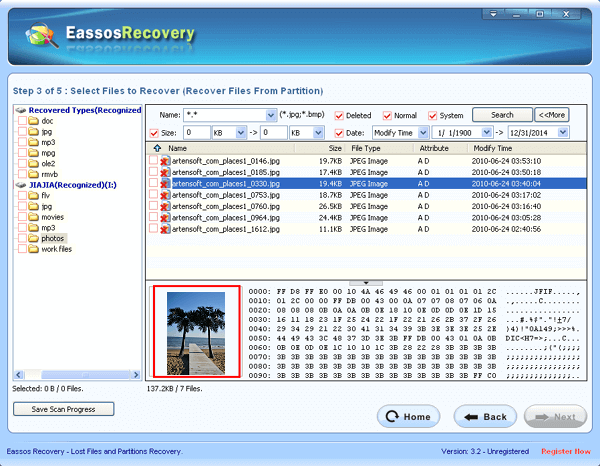 How to recover photos by using photo recovery software? 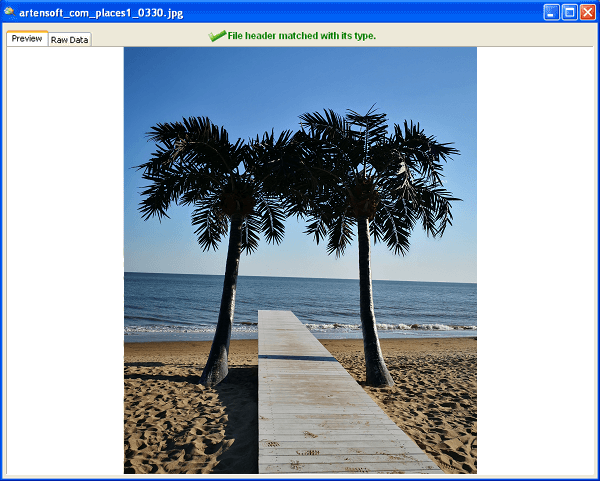 This article will teach you how to recover photos by using photo recovery software step by step. Nowadays as cell phone's function is more and more powerful and the digital camera is widely used, many people like saving photos in hard drive, external hard drive, USB flash disk or SD card of cell phone and digital camera. Due to certain reasons, photos saved in these storage media may loss, which brings about many inconvenience and pities. Actually, in many cases these lost photos can be recovered by photo recovery software. What's more, the operation is not complex. 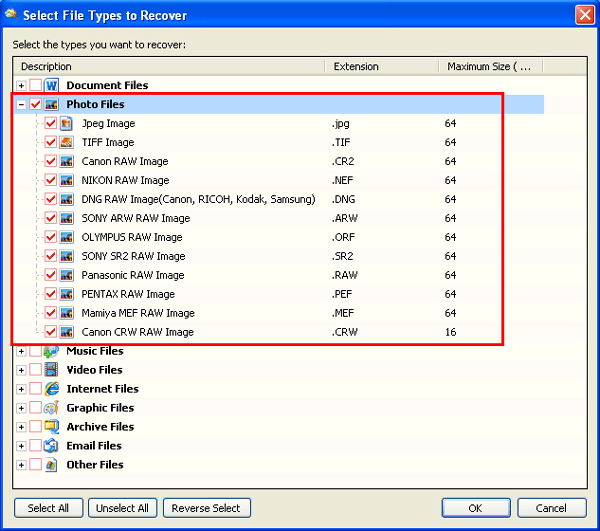 This article is aimed to teach you how to recover lost photos by using photo recovery software. The following are the detailed operation steps and you can click any links to read any part that interests you! Now let's begin to recover photos! Connect the storage medium to computer. 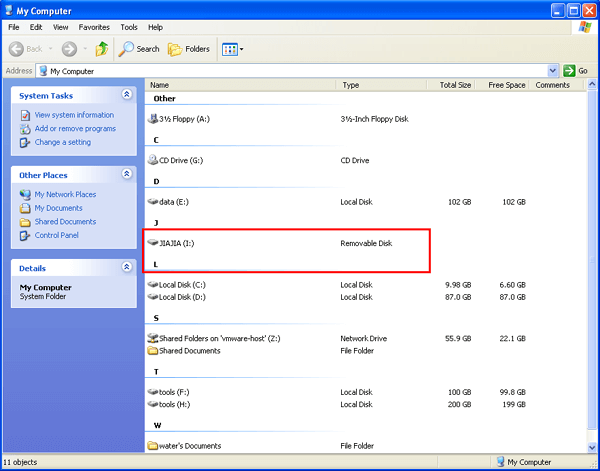 If it is a hard drive, then you can skip this step, but if it is external hard drive, USB flash disk or SD card, you need connect it to the computer. After connection, you can see it in My Computer or Disk Management. On the desktop right click "My Computer" and select "Manage" on the popup menu; then select "Storage"- "Disk Management". Or you can open it via Control Panel, select items "Start"- "Control Panel"- "Administrative Tools"-"Computer Management"- "Storage"-"Disk Management" in turn. You need to notice that in some cases the connected storage medium is invisible in My Computer but it can be seen in Disk Management. In this situation, you sill can recover photo by using photo recovery software! 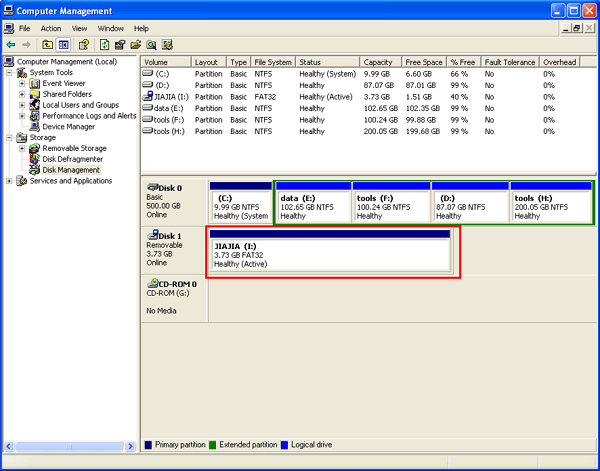 If the storage medium is invisible in Disk Management, you need to connect it to another computer; if it still can not be seen, it must have physical damage. 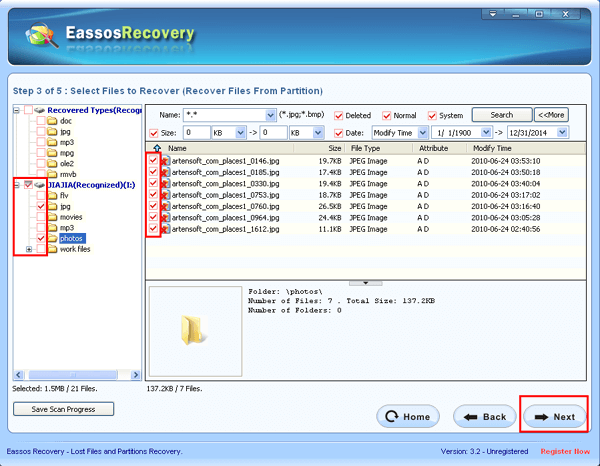 You shouldn't do any operations; you should ask those professional data recovery companies like Eassos Ltd. to recover your photos. An old Chinese saying goes "worker who wishes to do his work well must sharpen his device first". It is a primary guarantee that choosing a piece of photo recovery software which fits you and performs great. Then, which photo recovery software is best? 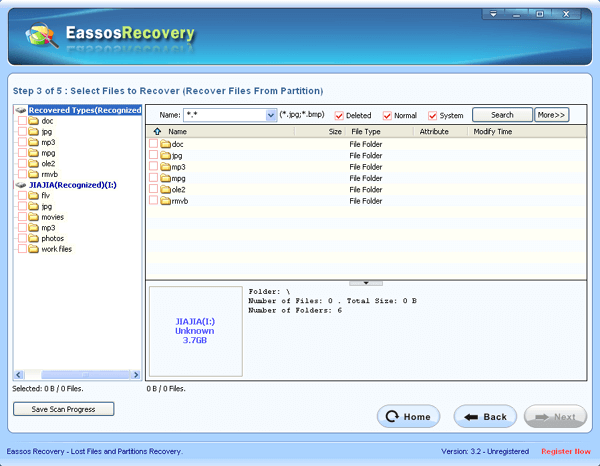 Eassos Recovery, after started, shows 5 data recovery modes on its main interface. When you recover photos, you need to choose one mode according to how photos are lost. So, which mode should we choose? 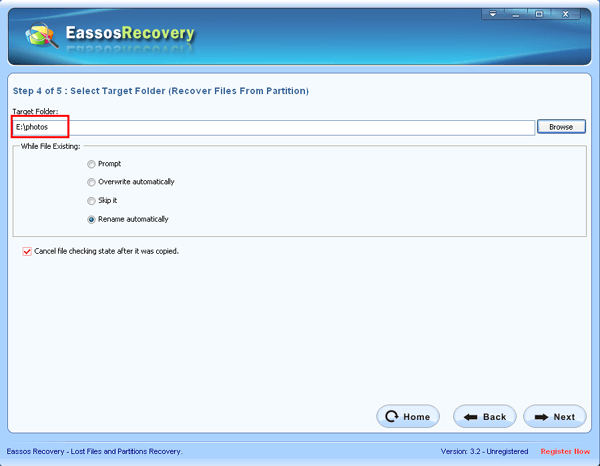 Actually, Eassos Recovery has detailed s of each mode on the main interface. Now, again I'll make a brief introduction to every mode and its corresponding photo loss situation. If you just delete photos by accident, you can choose "Recover Deleted Files". More often than not, it is the partition where photos are saved that has something wrong, for instance, it is formatted or can not be opened. You can use the mode "Recover Files From Partition"
Sometimes, the partition where photos are saved can not be seen in computer, so how to fix this problem? 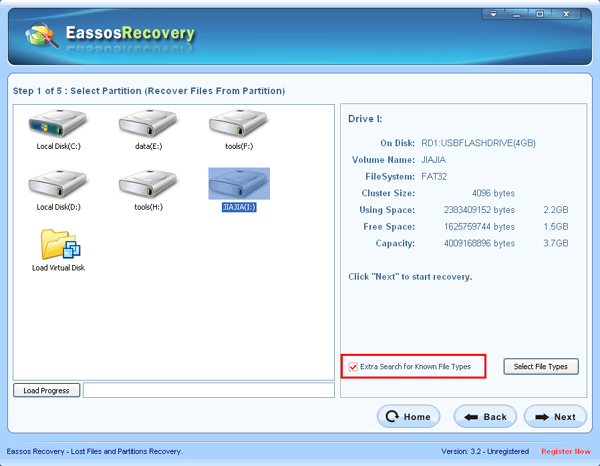 Select the mode "Recover Lost Partitions" which searches for partition first and then you can recover photos as well as the partition. If the above methods don't work well, you can try the mode "Recover Files From Disk"
No matter which mode you choose, the following operations are almost the same. Select a partition or disk and click the button "Next" to start scanning. How to judge whether photos copied out are correct? 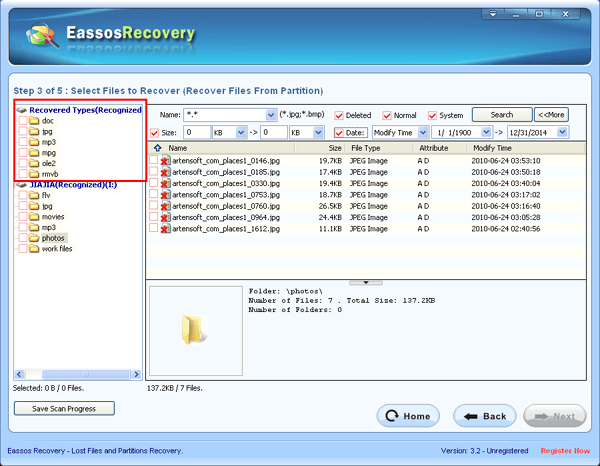 This is when Easssos Recovery's another function of photo preview comes to use. 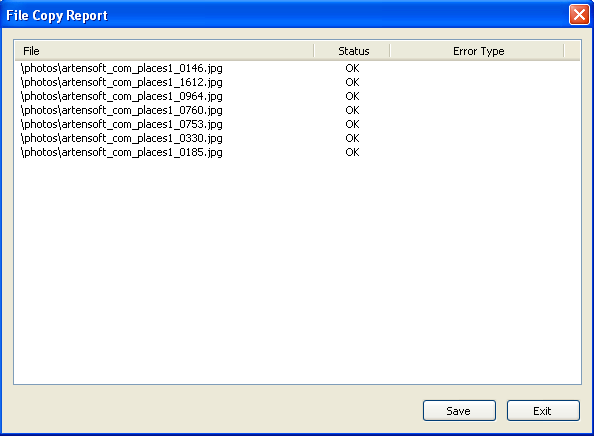 So, this is the whole process of recovering photos. 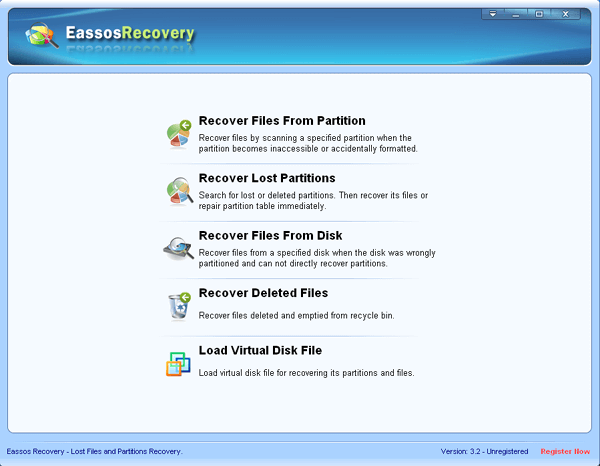 As you can see, the process is easier and simpler due to Eassos Recovery's wizard interface. Do you want to have a try, try to recover photos by yourself? 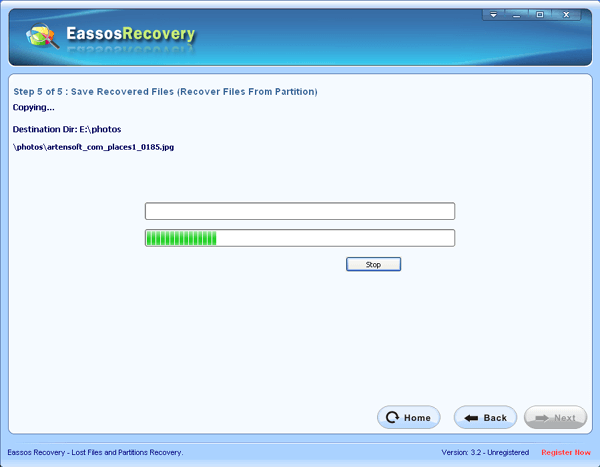 Just download Eassos Recovery and go head!